©2011 and published by the author in Australia, ISBN 978-0-646-55729-8, hard covered with printed cover and dust jacket, 268 pages, page size about 9 by 12 inches (23 by 30.5 cm) 960 color photos in text. 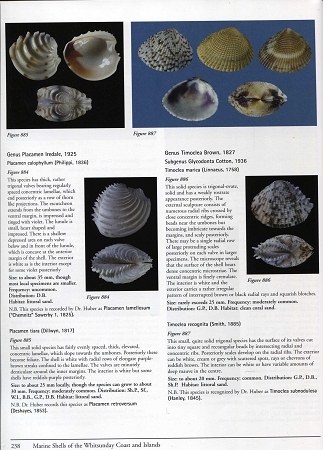 This is a new and important work covering about 1000 species of marine mollusks found over a ten year study. All of these shells are from the Whitsunday Coast roughly in the center of Queensland, Australia and the 74 islands that lie off shore. The coastal area extends for a distance of approximately 900 kilometers and the coastline and the islands are bounded on the east by the Great Barrier Reef. 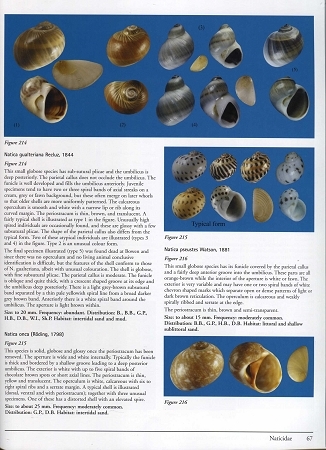 The book contains very well written and very thorough descriptions of the shells included in the work and the photographs are of top quality. 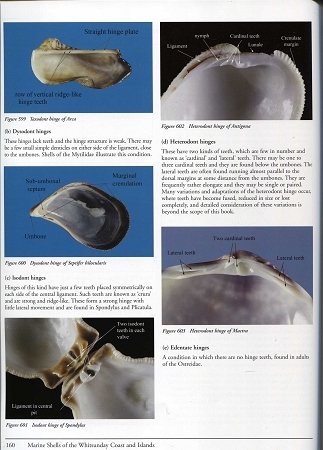 The shells in this study are confined to those found on the shore or in the the shallow waters off shore. The author states that it is his desire to make this book as comprehensive as possible as well as making it an easy to use guide for identification. He has succeeded in reaching both of these goals.